Sympathique, the new film from Clint Eastwood is sympathetic. This is what he will retain of this umpteenth attempt of biopic around an artist. Or several, as present here, since JERSEY BOYS tells – with some credibility – the daily and especially the trials and tribulations of the Four Seasons, an atypical group that was pop rock in the 1960s. Produced by Bob Gaudio and Frankie Valli (the two members of the Four Seasons), JERSEY BOYS is the film of order. And this is ultimately why we reproach him ! Explanations. It is commonly accepted that every story has different versions, depending on the number of protagonists. By insisting that Clint Eastwood (INVICTUS, GRAN TORINO) is making a film about their own group, Bob Gaudio (played by Erich Bergen) and Frankie Valli (played by John Lloyd Young) were allowed to give their version of the facts. So, it’s not surprising that both are represented as very black and white : Bob is the goose that lays the golden eggs, the composer without whom the Four Seasons would never have been #1 in the us charts, while Frankie is the perfect best friend that will cover you, constantly, even after you have committed the irreparable. One is oppressed by all the ills of the world, mainly because he is loyal and he always wants too much to do, while the other is a young virgin who grew up and became a man thanks to the group, while remaining pragmatic and fdèle to its values. 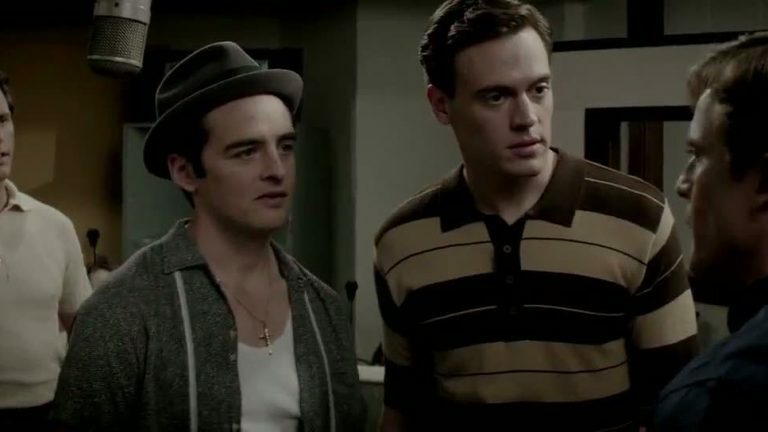 The other two members, Tommy (played by Vincent Piazza) and Nick (played by Michael Lomenda), have to be satisfied with leftovers. Tommy is portrayed as someone who is conceited, imbued of his person, a hustler extraordinaire who end up having to pay his debts. For his part, Nick is the fourth wheel of the tricycle, which is the nice singer whose presence on the stage and in the studio do not change large-thing, but that we need because he is the only one to support Tommy. But until when? Because that’s all there is to the issue of the film’s plot : for men who have known only misery at the beginning of their career, it is certain that they will eventually burn the wings. With this musical, Clint Eastwood has surprised more than one. Him that there is a tendency to assimilate the fig, the male’s manly and macho and completely change the orientation, register with JERSEY BOYS. Which isn’t a bad thing. If his film is not exceptional, it looks and turns out to be rather pleasant. Unless you’re allergic to love songs and singers. If he knew where he was putting the feet in agreeing to JERSEY BOYS, the director of J. EDGAR is not to change her habits. Thus, it is not surprising to see that at the time of losing his virginity, the character of Bob is watching one of his films. And to describe Bob Crewe (played by Mike Doyle), it refers to a character “curious” and “theatrical” to not have to say explicitly that he is gay. A way for Clint Eastwood not getting wet, not to say what he does not want to say without hiding what he thinks. 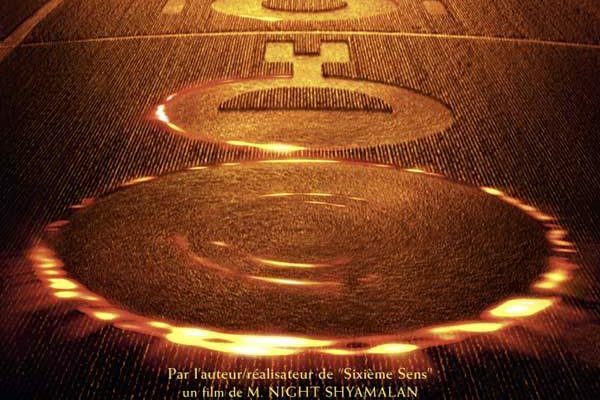 Other bad point, the plot of the film is a run of the most boring. The film is not in the originality in showing us, step-by-step, how are formed the Four Seasons, their small galleys, some anecdotes and their new celebrity. Of course, we don’t forget the image of the producer greedy uncle in italy who manages the mafia with an iron hand, the couple’s relationship that starts wonderfully and ends in the pain as well as the traditional disruptive element that will come to seal for good the fate of the hero, before being together one last time in a final scene charged with meaning. In short, you get bored in front of this scenario, most agreed. This is not to say that JERSEY BOYS is a bad movie. Quite to the contrary. 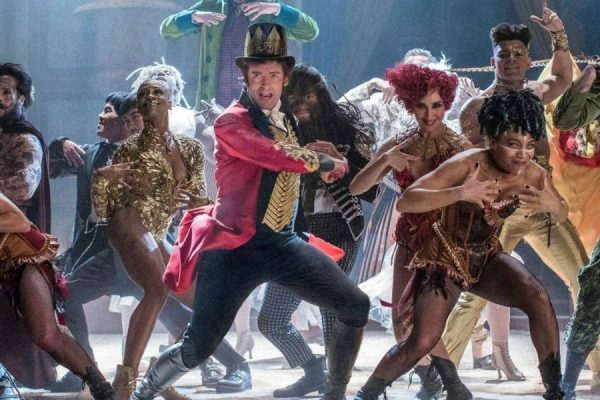 With the seriousness and rigour that we know him, Clint Eastwood managed to deliver here is a film that is no exception to his kind first, musical comedy, while respecting (a little too) the codes of the biopic. If you love very little of the treatment that was provided to each of the main characters and the lack of punch in the writing, JERSEY BOYS has obvious qualities. Starting with its staging. The direction is subdued, the photography is pretty, never be touted or bland and the music is perfectly mixed. What more to ask at this stage? Not large-thing, if you want my opinion. It should be noted, all the same, the extensive use of sight camera which have the purpose to make us enter a little more into the story, to make us participate in the plot and give us more objectivity through the subjectivity of the characters who use it. If this does very little, this is no big deal: the important thing was to try ! Although we don’t really know who the movie is aimed really (fans, groupies, fans of musical comedy? ), JERSEY BOYS is a sympathetic biopic, and this in spite of its slowness. Thanks to excellent artistic direction and some of the lines and well felt, Clint Eastwood manages to keep us awaken during the 2h14. It is already that. [critical] YOU WANT OR YOU WANT NOT ?